This 30 day ab challenge is the best way to lose belly fat and strengthen your core muscles. Your abs are probably the most important muscle group in your body. Whether you care about having toned abs or not – training your abs goes way beyond the six-packs muscles. 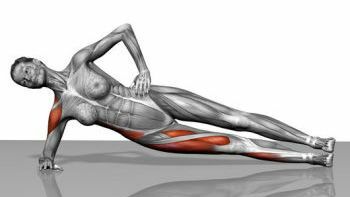 It involves your entire core, the muscles in your mid-torso that include your lower back, side abs (obliques), deeper abdominals and the most superficial, six-pack abs called rectus abdominis muscles. Together, they support the system of your spine and enable body functions and movements.